Welcome to my Email signature hourlie. 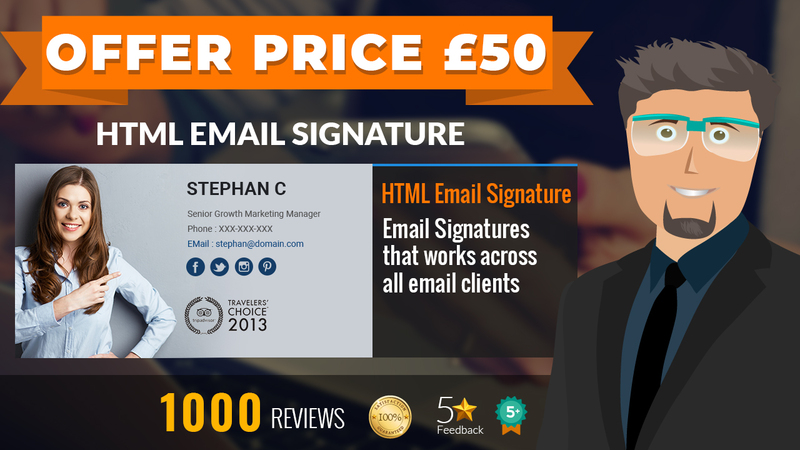 I can Design and code your HTML email signature for £30. 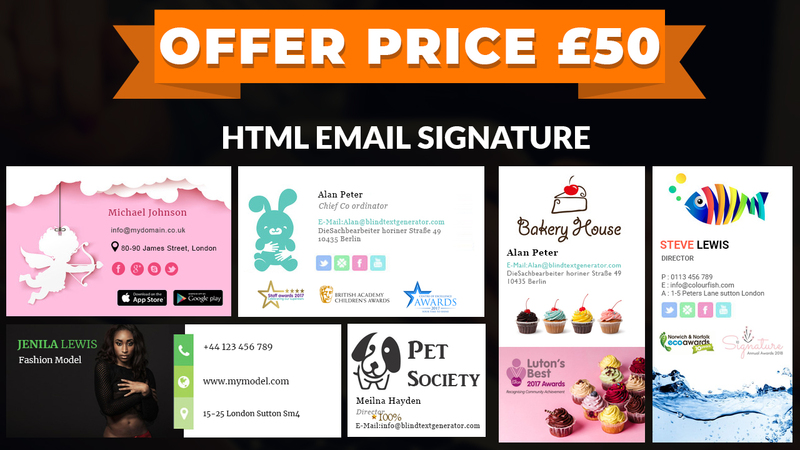 I been designing and coding HTML email signatures for nearly a decade and I can promise that you get the best ones from me. Yes!! You read it right ! 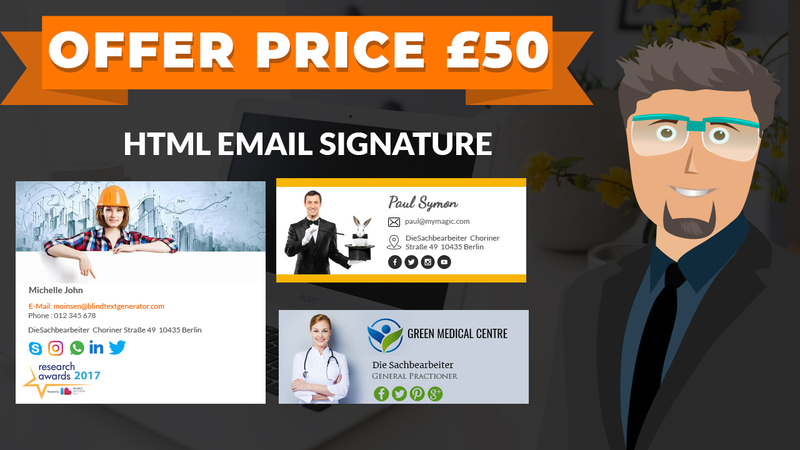 HTML email signature for £50. I set my own sales target and at times I will have to keep the price low to boost my sales and increase my ranking here on this site. At the moment I am listed at top 30 out of nearly 2K freelancers. My target for this month is to get listed below 20. Just the price has changed and nothing else. You get the same great service and product. ✔ The HTML signature will have links to your social profiles. 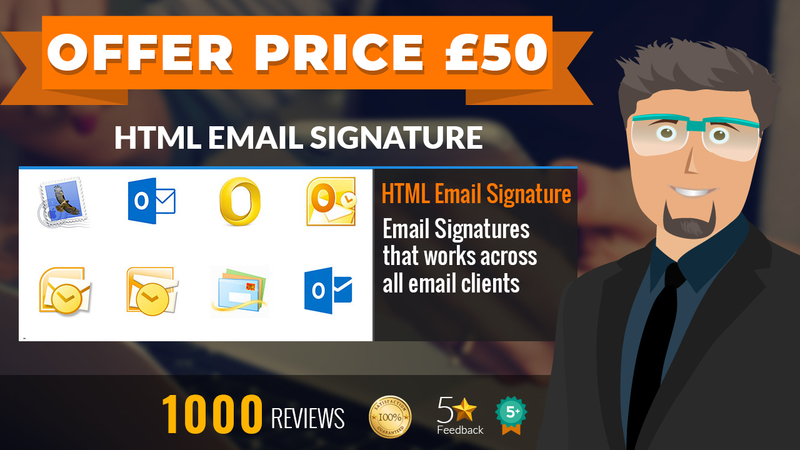 Buy this Hourlie today and get yourself a high quality HTML email signature. If you are buying this hourlie on a weekend, please do check my availability before purchasing it. If you can find a better Hourlie deal from another UK based top cert freelancer, I can do this job at 50% off from their price. For example if the other UK based top cert freelancer can offer this service at £200, I could do this same job for £100. T & C's : The hourlie price cant be less than £50 and must be a UK based freelancer. ► Any slogan or text that you like to have it on your signature. Nev designed very professional email signatures as per my requests. The communication was very prompt and he made amendments throughout the entire project which was great. I would highly recommend Nev and we will be using him again very soon for another project. Thanks for all the hard work Nev!! Incredible!! So fast and reliable, love his work, already going back for more!!! Wow, one of the best experiences on PPH so far. Hire Nev, forget the rest! Thanks again Nev for you super efficient turn around of this project. I am Nivas, a freelance Digital Designer with a Masters degree in IT from Coventry, UK. My long term goal is to help the startup businesses across the globe with a strong digital marketing...Read moreI am Nivas, a freelance Digital Designer with a Masters degree in IT from Coventry, UK. My long term goal is to help the startup businesses across the globe with a strong digital marketing strategy to give them a strong and equal online presence. Have spent nearly 10 years in the UK running my own digital agency and now settled down in Srilanka as my nature of work allows working from any part of the world. I have worked with small businesses, creative agencies and freelance web designers to deliver powerful websites, HTML emails and applications. I understand every business has their own budget and to meet your needs, I have several budget plans that would suit all businesses. Ofcourse the quality would remain top class for all plans, its just the time-frame and overall layout structure might change depending on the plan you choose. Template developer for leading Email service Provider in the US. I have worked with most email providers. Very much comfortable with Mailchimp, Campaign Monitor, dotMailer, Constant Contact, Aweber, Hubspot, Madmini and many others. 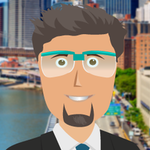 ✔ I have got over 15 years’ professional experience in marketing, design and web development. And that means you’ll get a blend of skills delivering a product that will work harder to generate business. ✔ A long term user of PPH with over 1000 positive reviews. ✔ Have successfully completed 2k Jobs.